Driving is as much a summer tradition as barbecues and hoards of little kids at literally any museum you ever visit. And as we approach peak road trip season, we’re also quickly reminded that we share our highway system with the slow-moving behemoths that make up the backbone of our nation’s logistical infrastructure: big-rig trucks. While for us non-professionals, a summer road trip can be a liberating break from the daily routine, for the guys and gals behind the wheels of those 18-wheelers it’s an endless, thankless job that requires some serious mental endurance. We consulted with Commercial Truck Trader — an online marketplace for big rigs — to find out how the professionals stay sane while they’re on the road. Here are seven tips they gave for keeping your mind right during endless drives. For us non-big-rig-operators, trying to disconnect from our perpetually connected world is a challenge. 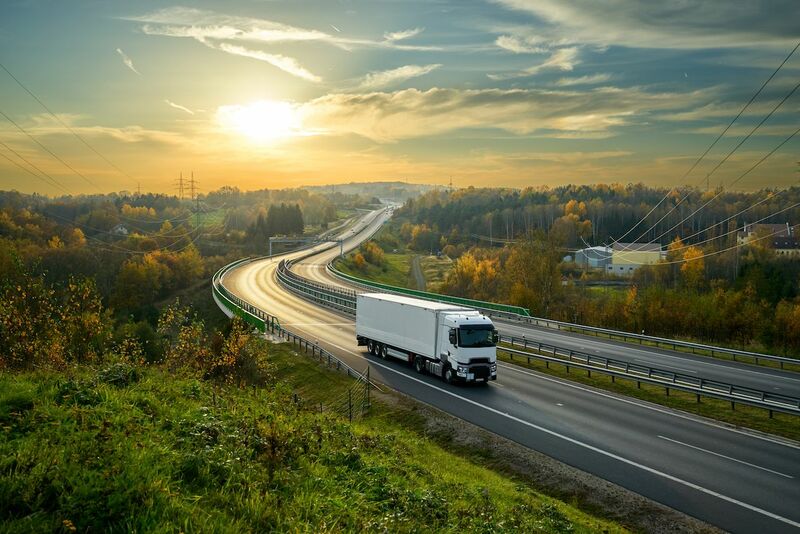 But staying connected to the world outside the road is key for truckers. The highway is a long, lonely place and reminding themselves that there are people out there who care is crucial for keeping sane. Calling home every night is a popular way of staying connected, but that’s been done since the advent of payphones. Technological advancements allow truckers to do stuff like FaceTime and video chat, as well as exchange short voice messages with people who may be in different time zones. Drivers even use Google calendars to schedule communication when loved ones have busy schedules. Social media is a popular tool as well, using little things like comments and direct messages to keep up on life back home. But many truckers still prefer to go old school and do crazy stuff like writing letters and postcards from wherever they’re staying. The handwriting feels more personal and gives those at home something to hold onto that’s not on a screen. Much like with any work trip, drivers sometimes bring people along with them for the ride, both to stay awake and stay in their right mind. Married couples often times drive together, opting to keep their marriage on the road rather than on the rocks. Friends, relatives, or even just curious acquaintances make the human connection just as important as the break from asphalt monotony. Other truckers bring along a different kind of friend: the kind with four paws and a waggy tongue. Just like they’ve become more popular in restaurants, airplanes, and breweries, dogs have become more common in big rigs, providing the dual purpose of companionship and frequent exercise during walks. And the occasional excuse to meet new people when in different places. Truckers aren’t exactly known as bastions of great health. Or even mildly-acceptable health. Not that anyone’s passing judgment; when your best food options all have to be within earshot of a highway offramp, it’s hard to eat healthily. Throw in hours sitting in one position, and it’s a recipe for poor health. But staying healthy physically also helps drivers stay healthy mentally. Drivers now are stocking up on healthier food like nuts, lean meats, and fresh vegetables before leaving and using those foods as road fuel instead of the usual drive-thru cuisine. They will also pack bicycles and running shoes for quick workouts while at truck stops, typically during morning or afternoon rush periods when traffic is heaviest anyway. Some even bring small weights to lift while driving. Make sure you sleep enough. Though long-haul drivers are notorious for missing crucial sleep to make deadlines, many have learned that the extra few hours they spend sleeping makes them more productive in the long run. The aforementioned exercise also helps drivers’ stave off nervous energy and thus sleep better at night. Many also avoid any kind of stimulant later in the day so their minds can relax, and use white noise machines to help the sleeping process. The road can be hypnotic, where miles of straight pavement and blurry white lines can lull the mind into a beam-like trance. This combination of boredom and concentration can dull the brain, and breaking the spell is one of the most important parts of keeping it together while driving 14 hour days. The CB radio is a popular form of keeping the mind moving, as are phone calls home (via Bluetooth) and listening to traditional radio. Some truckers take their job as a chance to learn a new language, bringing language tapes or CDs along so they can get smarter while they work. Others opt for audiobooks or podcasts. Still, others bring new forms of music to keep the learning centers of the brain active while doing a fairly mindless activity. Some sing along to keep cognitive function sharp. Another thing truckers have been historically notorious for is an abuse of alcohol and drugs to cope with the long hours and loneliness the job demands. While taking a gas-station alertness pill, or other drugs, might keep a driver awake through the night, they do nothing to help mental stability, and most truck drivers nowadays are mindful of this. Though not an on-road trick, with the average long-haul trucker clocking in at 55 years old, any kind of chronic health problem can make a trip mentally taxing. So nipping things like heart disease, muscle cramps, strains, stress, high blood pressure, and other job-related issues in the bud can make for a clearer mind and an easier time working. Though time at home is scarce, and most drivers prefer to spend it with family, making sure health doesn’t deteriorate makes a huge difference behind the wheel.